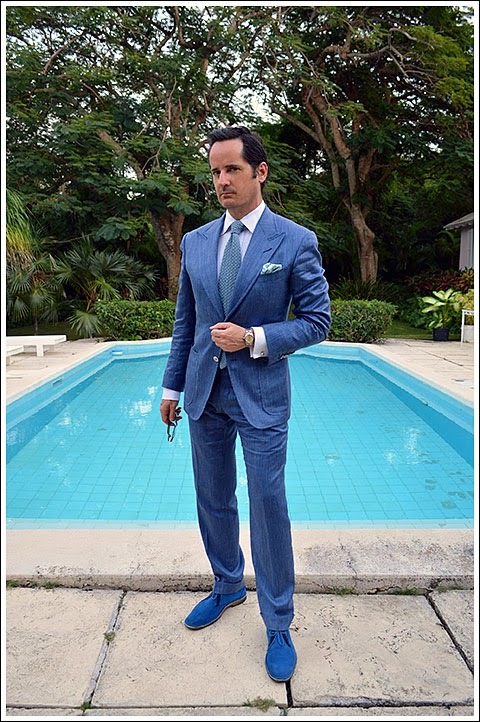 "Cobalt blue is a particularly hot color" for 2014. Suzie Atkin of Neil Kelly Design. Cobalt. Sounds like an xbox game. A dangerous chemical if you're of a certain age. 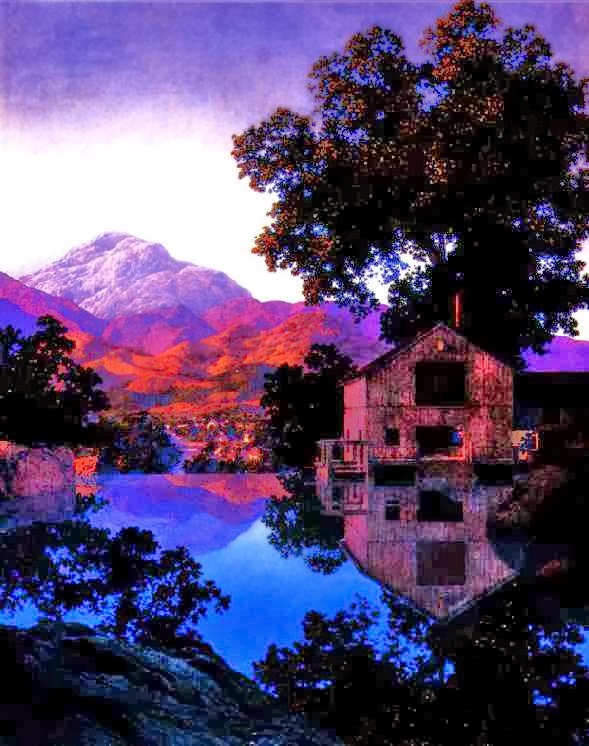 Maxfield Parrish loved his cobalt pigments. I didn't coin the phrase "it's a Maxfield Parrish sky! "although I do use it on occasion and grab the camera. A recent Parrish sunset I took from my car window. Month of the Pink Sky. November in Massachusetts. A color as old as time could not be more of the moment. The sartorially inimitable Mr. Andrew of What is James Wearing? Cobalt suede demi boots. I think cobalt should change its name. Parrish Blue sounds good. Maybe too remote in time. How about James Blue, or Andrew Blue? 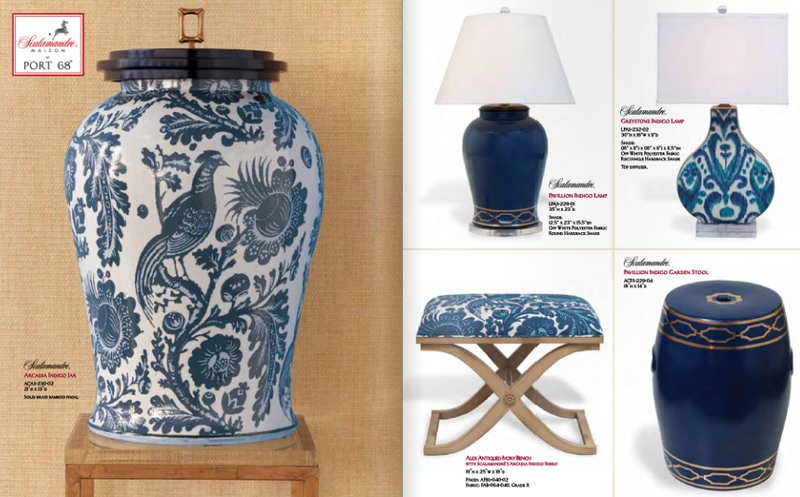 Historic Scalamandré prints on classically shaped lamps, garden seats, vases, upholstery. Beautiful. These blues are just the tip of the iceberg. Scalamandré's beloved Le Zébre and iconic Le Tigré prance and roar their way through the full line. See it in this flip book. Fabulous. And Pottery Barn sports a new indigo theme for Spring '14. Scalamandré, Port 68 and Pottery Barn rarely miss when it comes to color. Only time will tell if Radiant Orchid will make it big in '14. In full disclosure: I have received no compensation from Scalamandré Maison for PORT 68 or Pottery Barn and neither solicited a mention here on my blog. 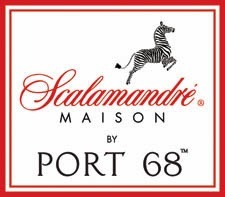 If you would like further info on Scalamandré Maison by PORT 68, please email me. I love the blue's. The name cobalt is not that bad, although the shoes are not my favorite. I think I had a pair of Hush Puppies that color int the late 80's? I had a pair of cobalt suede flats in the early '90's! The dog would lick the bows on the toes. Didn't last too long. I'm a big fan of cobalt especially when combined with white....got to love James Andrew - cobalt at its best! !